Our family eats a lot of different foods. One of our favorite is rice. My son refuses to even touch rice without soy sauce. Little Soya makes a delicious soy sauce, in the most unique packaging. The box itself features an adorable logo that is reminiscent of the characters on anime. My kids loved it! 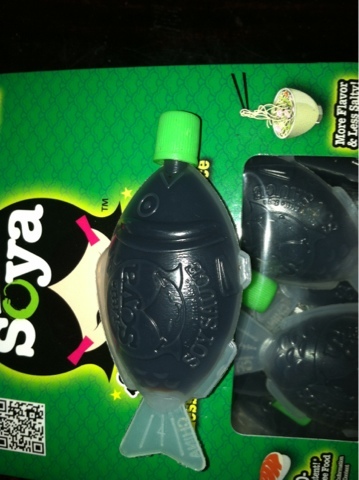 The tube of soy sauce itself is so cute! 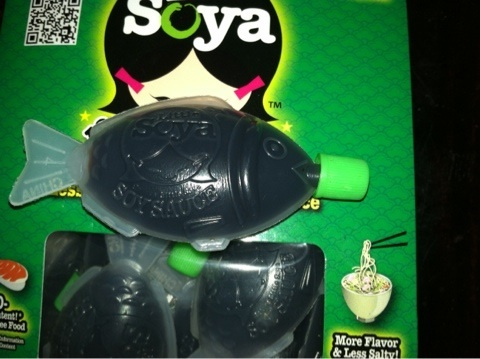 It is a fish shape, and you squirt the soy sauce out of the mouth! My children had a blast with it, and our dinner guest thought it was very unique. 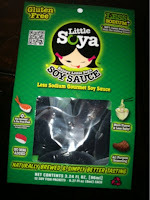 The best part is, they are single serve, and so you do not have a messy bottle laying around! You also do not have to worry about your children pouring half of the bottle on their own food! Perhaps the best part is, this soy sauce is gluten free!